KOA promotional photo. How it wants to be portrayed. Released at the recent KOA convention, the report is long on conclusions and short on underlying data. So, for example, while the report finds “a solid increase in awareness of KOA’s brand positions,” at no point does the report define “awareness” or how it is meaningful. Elsewhere, the report concludes that four of every five non-KOA campers “have a favorable opinion of KOA quality because of our brand positioning program,” without a shred of justification for using the word “because.” Might that favorable opinion be the result of KOA’s increased media presence and ad buys, regardless of the actual media content? Could it be ever-improving word-of-mouth, as suggested by the system’s overall increase in net promoter scores? There are so many gaps in the report’s logic that the only thing we can accept with certainty is that KOA is a well-regarded name, and more so every year. But that only underscores that KOA is the brand, not its “Journey,” “Holiday” or “Resort” permutations, and the strength of that brand rests on the aggregate quality of all our campground facilities and the customer service we provide. The KOA trinity merely tweaks the details, so that a Holiday will have cabins but a Journey won’t—or maybe it will. A Resort will provide food service while a Journey or Holiday won’t—or maybe they will, too, depending on their owners and how they want to serve their campers. Mostly what the branding criteria does is assure more of the same as one transitions from Journey to Holiday to Resort: more RV spaces of a minimum width and length, more physical amenities, more recreational opportunities—more, more, more. So the only thing this segmentation does is create the perception of “good, better, best” about which some campground owners have already complained, but without a whole lot of differentiation among the core products being offered. With 20-20 hindsight—how ironic, given the target date for everyone to fall in line—the whole branding exercise must be seen instead as a missed opportunity to create something truly meaningful. Instead of creating distinctions without a difference, how much more exciting and useful might it have been if the branding effort had identified—and encouraged the creation of—real differences in the camping experience. What was once a rich man’s indulgence, however, increasingly became available to the masses, thanks first to the automobile and then to the accelerating development of camping technology, which eliminated the need for all that human labor. But that same technology also insulated campers from the stimuli of their natural surroundings. What followed, as recently observed by Hogue in his fascinating essay, A Short History of the Campsite, “was the idealization of nature as peaceful and non-threatening.” Nature, he added “is expected to remain comfortable, visually and emotionally inspiring; but its atmospheric effects should be negligible.” Any KOA campground owner who has fielded complaints about bugs, snakes, skunks, rain, cold fronts, humidity or local farmers spreading manure on nearby fields can empathize. KOA “cabin.” All the comforts of home, maybe more. 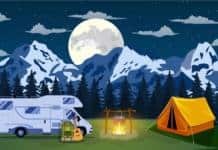 Unfortunately, everything we do as KOA campground owners only accelerates that divorce from nature, even as KOA’s marketing efforts are bent ever more toward assuring campers of the opposite. We add “cabins” that are indistinguishable from small houses, replete with hotel amenities like linens and soap bars. We upgrade our WiFi systems so our campers can access the same level of service that they enjoy at home. We add outdoor lighting, walkways and handrails at every turn, build flowerbeds and create patios with lawn furniture and gas grills. In short, the more we “upgrade” our campgrounds the more indistinguishable they become from our campers’ backyards—and at some point the campers may begin to notice. None of this is to say that KOA is on the wrong path—only to observe that there may be more than one path through the woods ahead. We at the Staunton/Walnut Hills KOA are as complicit as any in providing patio sites and cabins, tending our flower beds and spending big bucks on a WiFi upgrade. But it is a caution against the sort of mindless progression that culminates in the current rage for “glamping,” for which there undoubtedly is a market but which has the same relationship to “camping” that Space Mountain has to the asteroid belt. Andy’s Staunton/Walnut Hills KOA. One of the best in the system. Which brings us back to KOA’s “brand positioning” and the missed opportunity it represents. How much more useful it would have been if this impulse had led to an examination of truly different camping experiences, and how those different experiences could be communicated and delivered to the camping public. 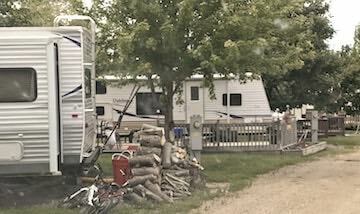 Instead of “Journey,” “Holiday” and “Resort,” what if the KOA brand included “Backwoods” or “Rustic”—and, yes, “Overnighter” or “Resort,” since those labels actually convey information less nebulous than “Journey” or “Holiday.” Or how many other camping concepts could be envisioned, each presented with a certain baseline of KOA quality but each with its clearly differentiated amenities and expectations? We’ll never know—that ship has sailed. But meanwhile, let’s not kid ourselves that the brand positioning exercise is in any way meaningful. It remains, alas, a solution in search of a problem. NOTE FROM EDITOR: Andy Zipser’s family-run Staunton/Walnut Hills (Virginia) KOA is one of the nicest where we’ve stayed, which includes more than 100 KOAs across the country. 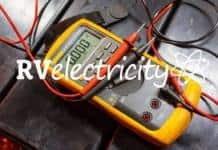 Previous articleRV Electricity – Overloaded wires – What’s the big deal? You get what you pay for. Supply and demand drives the market. All KOA’s are not equal. Some good, some not as good, a few bad. When traveling I just want my home with me. I want a nice roomy site. We stay at KOA when we travel and have found very, very few bad ones. We have stayed at other campgrounds and have horror stories. We know KOA may be more expensive but sometimes, it’s cheaper. It’s also a known product, we know what to expect at KOA . After a couple of stays at third world type rv parks, KOA is an oasis. I won’t stay at a KOA because they are just too pricey. The reviews I’ve seen where I’ve traveled aren’t any better, and many time worse, than other campgrounds in the immediate area. We avoid KOAs at all costs since the only one we’ve stayed at charged an outrageous price for nothing more than an average site. I doubt we will change our habits even if they provide their new “experience” levels. We’ve managed to visit 48 states so far and don’t need them nor their “experience”. Just to respond to your direct question: KOA franchises run five years. We’re still a KOA because our five years aren’t up, but once they are, we’ll be looking at all the pros (and despite my critical outlook, there are some!) and cons of renewing. Not that long ago (I could dig out the log books) we were traveling and came on a “Campground” that was little more than a manicured parking lot with FHU-50. It was 20$/night. As we are travelers and not campers, this is exactly what I had in mind. When forced, we have even paid 17$ for a 0HU with access to shows only a 500yd walk away. We like Cabela’s better than Walmart, but the one in Hammond has been shut off by the city, so now we avoid Hammond. 40 years ago they were top of the list. Campers were smaller. Now they have flowers and the same tiny sites. Few pull through sites in sardine city. To me it makes no difference what they call themselves. KOA = expensive and I always avoid them, that’s all I need to know. I have checked out a couple in areas that I frequent and their quality is much lower than parks that are much cheaper. I have owned 3 franchised retail stores and have been associated with franchised restaurants. Almost always, company owned units offer better quality, service, value, and cleanliness. KOA should raise funds (like Camping World) in this bullish Trump stock market. And then muscle/buy out the lousy franchisees as does McDonalds. The quality and value of the remaining franchises would increase dramatically. We certainly need far more Good Sam 10/10/10 level campgrounds for those of us who own $100K-$500K motorhomes. I feel that a very successful and enjoyable trip is one where I have not stayed at a KOA. I will stay anywhere for a night to avoid a KOA. KOA management must think they are the Whole Foods (Whole Paycheck) of the campground industry. I quit going to KOA because the cost has gotten way out of line. A hotel room is not much more expensive than some KOA parks. Will Swarts, there are places where nice hotel rooms can be had for less than the local KOA – St. Augustine, for example. 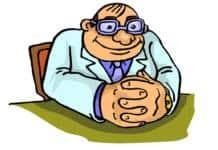 For over four decades, I worked as a business consultant. My goal was to get in, assess the growth potential, identify the problems and pose solutions which can be implemented quickly and then embark on the growth plan. Idiots at the top, bent on pushing their solution to massage their egos drive more companies into bankruptcy than can be imagined. This is an example of that. KOA is my stop of last resort. The sites are crowded with sewer connections and power pedestals right outside door. I have no interest in mobile home living. I want an outdoor experience. That’s why I try to stay at as many state parks as possible. Most offer power, water and a dumpstation with a large treed campsite, often out of sight of others. I would gladly pay KOA prices for this experience over what you most often find at KOA or other commercial campgrounds. One gripe I have with KOA is that I bought their value card for a 10% discount and found out I can get the same discount for being an AARP member. What a rip-off!